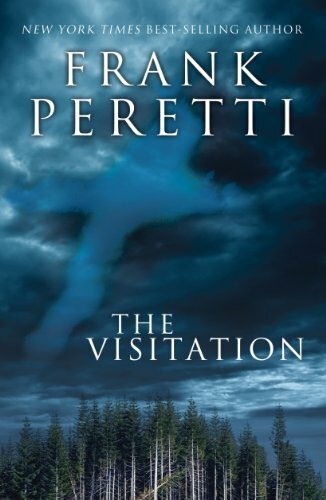 Centered on the life of Travis Jordan, The Visitation begins when miracles, ranging from a healing, weeping crucifix to sights of Jesus in the clouds, start occurring, giving way to the arrival of a man who calls himself Brandon Nichols. Nichols begins healing people; giving a man who lost the use of his legs in the Vietnam War the ability to walk, and performing various other "healings". Most of the townspeople — who are portrayed as disillusioned, post-Pentecostal farmers — begin to believe in Nichols as a Messiah. Brandon Nichols begins to hold "revival meetings" on a large ranch outside of town every Sunday, and many churchgoers in town stop going to Sunday morning mass/services and instead listen to Brandon talk and watch him "heal".